The following is information regarding clear coat technology and products for exterior stain systems involving clear film-forming products. We recommend using clear coatings over most semi-transparent and transparent stains. The addition of a clear coat will allow multiple benefits, which we describe below. 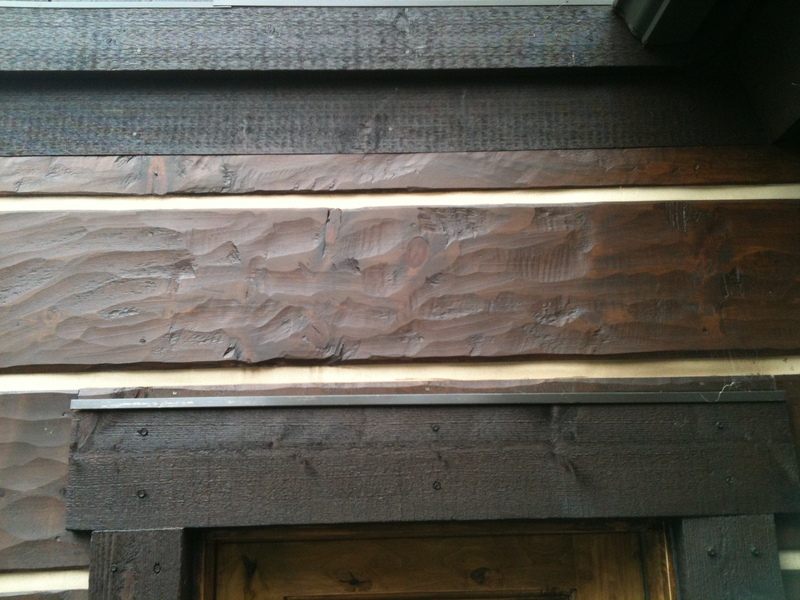 Transparent stains and toners allow the wood on your home to look the most natural. However, having to re-coat every 2-3 years can become very costly to the maintenance of your home. The harsh elements at high altitudes can wear away stains in as little as 2 years and start oxidizing the wood, turning it black and breaking up the wood fibers. The additional of either a water born clear or an oil born clear over the stain will allow a number of benefits. WHAT IS A CLEAR COAT (FILM FORMING) PRODUCT? Essentially, a clear coat is a protective coat to block moisture and UV light from degrading your wood, discoloring the stain and destroying the fibers in the wood. These products are intended to be applied over a number of types of exterior wood at large volumes. These products protect exterior wood much like a varnish protects your front door, lacquer protects your furniture and polyurethane protects your floors. 1. Brilliant appearance. Consistent sheen throughout. 2. Longevity of stain product – depending on the product and stain used, an additional 3-5 years could be added. 3. Maintenance coats – future coats will be more economical as only a clear coat will need to be applied in the future. Once the sheen starts fading it is time to re-apply. 4. Maintenance coats – only sides where the coatings sheen is fading can be recoated without having to worry about the color changing with additional stain coats darkening the wood. 5. There has been a strong demand in the industry for these products and the technology has advanced to make these coatings practical and economical. 1. Cost. These products are usually twice the price of a moderate to good stain. They can run upward to $90.00 / gallon. The additional labor in applying these coatings also adds to the expenses. I feel as though it is money well spent. If you are looking for a premium appearance and less maintenance to your home, clear film forming products are your best option.